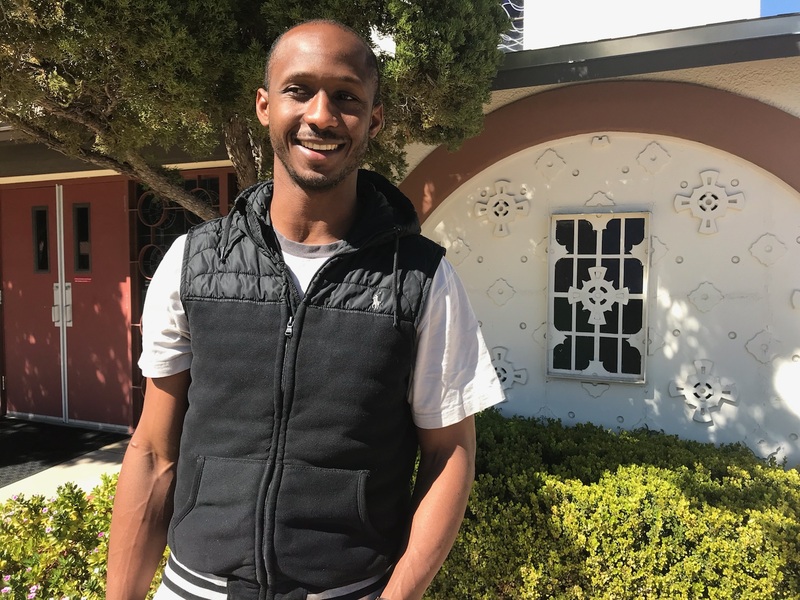 When Ishmail Sillah came to the United States, he was a 7th grade student immigrating as a refugee from Sierra Leone. His home country was devastated by a civil war that lasted from 1991-2002, a period during which the people of Sierra Leone experienced troubling health statistics. At the height of the civil war in 1997, Sierra Leoneans suffered from one of the highest infant mortalities in the world, as well as one of the lowest life expectancies, with many adults not expected to live past their mid-40s. Motivated by these formative experiences, Dr. Sillah has developed into a caring and compassionate individual determined to make a positive difference in the world through healthcare. He graduated with a Doctor of Nursing Practice (DNP) degree from the University of Arizona College of Nursing in December 2018. on March 5th 2019, he became an American Nurses Credentialing Center (ANCC) board certified Adult Gerontology Acute Care Nurse Practitioner (AGACNP). Dr. Sillah had found his calling. He applied to UA Nursing’s MS-RN program and was accepted. “The interesting thing was I was dropped from the program because I was struggling with my tests in the first year,” he says. Undaunted, he reapplied and was accepted again. Resolving to do everything in his power to succeed, he intensified his studies, going so far as to read lectures before attending class, and finished the master’s program in 2014. Not content to rest on his laurels, he immediately enrolled in the UA DNP program (DNP). He studied full-time and paid the bills working first as an ER nurse and then as a cardiac ICU nurse at Tucson Medical Center. Through it all, he remained committed to making a difference not only in his homeland Sierra Leone but also in other sub-Saharan African Countries such as Kenya. Going into the project, Dr. Sillah knew he wanted to focus his efforts on cardiovascular disease in sub-Saharan Africa. He asked himself, “As a nurse, what can I do to help the situation?” His answer: Determine whether the widely used National Institute of Health Stroke Scale (NIHSS), which gauges stroke symptoms such as facial droop, arm drift and slurred speech to determine stroke severity-could be implemented in a sub-Saharan African healthcare setting. “The faster you respond to these symptoms, the less likely you are to suffer permanent brain damage,” Sillah explains. After conducting a needs assessment for the use of a stroke scale in two Kenyan hospitals, Dr. Sillah determined that utilizing tools such as the NIHSS could vastly improve response to stroke patients. His results will fuel more efficient and effective ways to combat the dangers of stroke by creating improved communication between healthcare professionals when dealing with a patient. "The goal is to come up with a scale that is useful for nurses, clinical officers (NP and PA equivalents in Kenya), and medical doctors to communicate stroke severity effectively," says Dr. Sillah. This summer, he will present his findings at Sigma Theta Tau's 30th International Nursing Research Congress, held in Calgary, Canada on July 25th-29th. He is proud to give other nurse practitioner (NP) students a positive role model and he is eager to share his knowledge on a worldwide stage. "I can encourage NP students, and other health professions students by example," he says. "I would like to see my work support the continued growth of UA Nursing's recognition as an institution that does global research especially within the NP speciality. This goal is consistent with our UA mission of Bigger Questions, Better Answers, Bear Down and I am very grateful to know that I am a part of this mission."